Last week, Walmart promised to increase it's workers' wages to $10 an hour by next February. This is good news — but much more must be done to eradicate the Arkansas-based retailer's reputation for treating its employees poorly. Walmart employees and labor activists are now lobbying for another crucial aspect of the wage war: more hours. Despite receiving pay raises, Walmart employees must still fight for enough hours to make ends meet. Walmart CEO Doug McMillon pledged to increase the base level pay for all U.S. Walmart workers to $9 an hour by April and again to $10 an hour next year. The decision to pay its workers well above the federal minimum wage was a major feat for the national minimum wage debate and has already encouraged other retailers, like TJ Maxx, to do the same. Walmart's pay raise is expected to effect 500,000 employees nationwide, but is it enough? Hourly-wage workers depend on managers to schedule them enough hours of work each week. Even with a pay raise, if workers aren't given enough hours, they won't make enough money to get by. 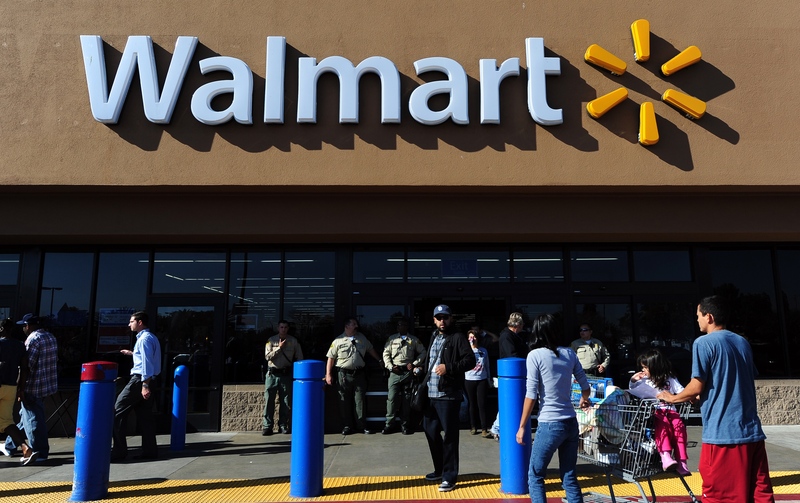 According to The New York Times, 685,000 of Walmart's total 19.2 million employees worked part-time in 2007. By 2014, the number of involuntary part-time employees rose to 1.4 million despite Walmart's overall employees dropping to 18.9 million. We will continue to provide affordable health care to all eligible associates, including part-time, who work more than 30 hours. However, similar to other retailers like Target, Home Depot, Walgreens and Trader Joe’s, we will no longer be providing health benefits to part-time associates who work less than 30 hours. This decision makes things exponentially worse for the 1.4 million people who are involuntarily working part-time for the giant retailer. When McMillon announced the wage increases, he said it would give Walmart associates the chance to "advance in their careers," but that doesn't seem possible if employees aren't given enough hours each week to even constitute a full-time job, much less a career. Although it seemed Walmart was newly dedicated to respecting its employees, the corporation still has a long way to go. Raising wages is only the first step toward treating employees well because hourly wages mean nothing without the hours.